We believe there’s something more important than just winning or losing a tournament. That’s why we’ve proudly sponsored the WIAA/Rural Mutual Insurance Sportsmanship Award for more than 50 years. We would like to congratulate the River Ridge team on being this year’s recipient of the Girls Volleyball Sportsmanship Award. This is the second time River Ridge is the recipient of the WIAA/Rural Mutual Insurance Sportsmanship Award. They previously won the award for Football. 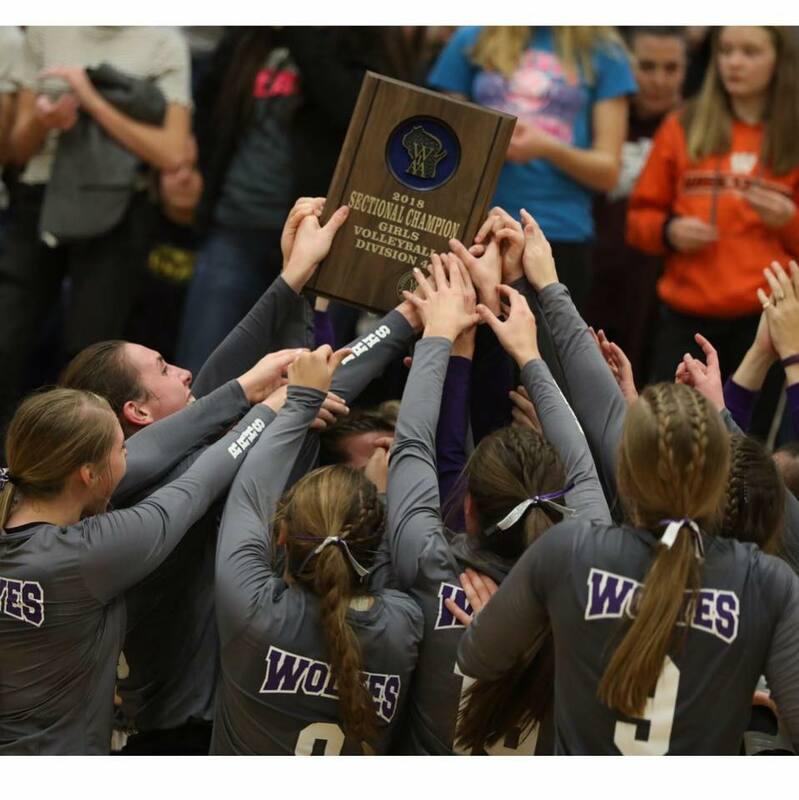 Find WIAA 2018 State Girls Volleyball winners here. When talking with Head Coach, Dianne Langmeier, we asked her what this award meant to her as a coach, the team and community along with how they teach their athletes about sportsmanship. I have been eagerly waiting to see who got the sportsmanship award for this year, and we are so excited to be recognized and honored with this prestigious award for our run to and at the State Tournament in Volleyball for 2018. Going to the State Tournament has been a goal for our team for a very long time, and we were very fortunate to represent our sectional there this year. We have always put sportsmanship as a top priority, and it is amazing to be recognized for something we have worked on as a team and community. Our school had a wonderful pep rally for us to send us off to State, and our athletic director reminded everyone of all the rules and how important good sportsmanship is for everyone attending the tournament. Our AD and principal were right there making sure that cheers were appropriate and positive! I am so proud to say that our school and community bought into the whole idea that sportsmanship really matters. We have talks about good sportsmanship, and our coaches try to be great role models. We talk about “being humble in victory and gracious in defeat.” We try to impress upon our players that it is okay to win, but we don’t want to do things that make the other team feel badly. We teach our players to respect officials. Let’s face it: it starts with the coaches respecting their decisions, too! Sportsmanship is so important because it relates to life lessons that you can gain from being on a team. Athletes learn how to deal with and handle their emotions when things don’t go their way by practicing good sportsmanship. This was Coach Langmeier 13th year coaching for River Ridge Varsity Volleyball team. She also coached three years at West Grant High School and three years at Fennimore High School for their varsity programs. Her favorite part about coaching is getting to know and working with the athletes. She loves helping them learn skills and a game that they can play for a lifetime. She started playing volleyball for the first time her freshman year in the same gym she now coaches in. She comments that it has been fun coaching moms and daughters and building relationships over the years with all the families in the community. Langmeier really wanted the team and community to be able to experience what it is like to advance to a state tournament. She was extremely proud and amazed of the pride and school spirit that was displayed for the team! Coach Langmeier wants to thank the River Ridge community, WIAA, and all who worked the tournament for our wonderful state tournament experience! Congratulations again on a great season and a great achievement for the River Ridge community!